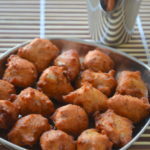 Do check my Rice Pakoda recipe which is also a saviour to use up left-over rice. 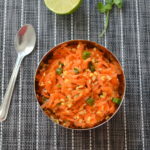 Mash the cooked rice with a fork. I just microwaved it for a minute so that it would be easy to mash. 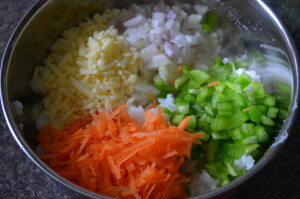 Add finely chopped onion, capsicum, grated carrot and cheese. 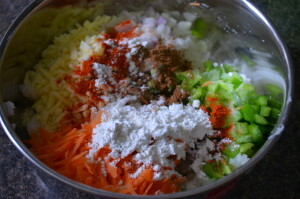 Now add required salt, chilli powder, chaat masala powder and maida. 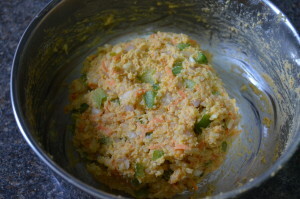 Mix well with your hands to make a dough. 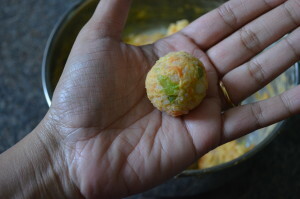 Pinch a small piece of the dough and make a small ball. U can grease your hands with oil if needed. Repeat for the rest of the dough. Keep all the balls ready. 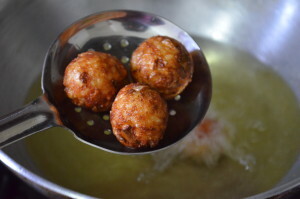 Drop a batch (say 4 to 5 balls) in hot oil. Flip and cook evenly on all sides until golden brown. Keep the flame in medium always. Drain it in paper towels. Thats it!! 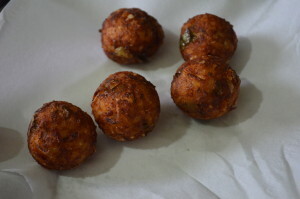 Crispy Cheese Rice Balls are ready!! 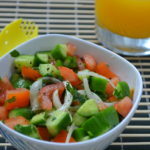 Serve hot with a cup of tea or coffee!! I have used left over rice. U can use fresh rice too. 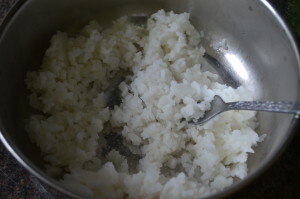 Make sure the rice is cooked properly and there is not much moisture in it. I have not added water to make the dough. If u find the mixture to be very thick sprinkle a few tsps of water, if it is watery add more maida. 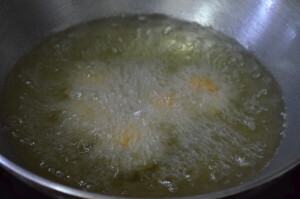 If at all the rice balls spilt in the oil while frying, add more maida or corn flour to the dough and then proceed. 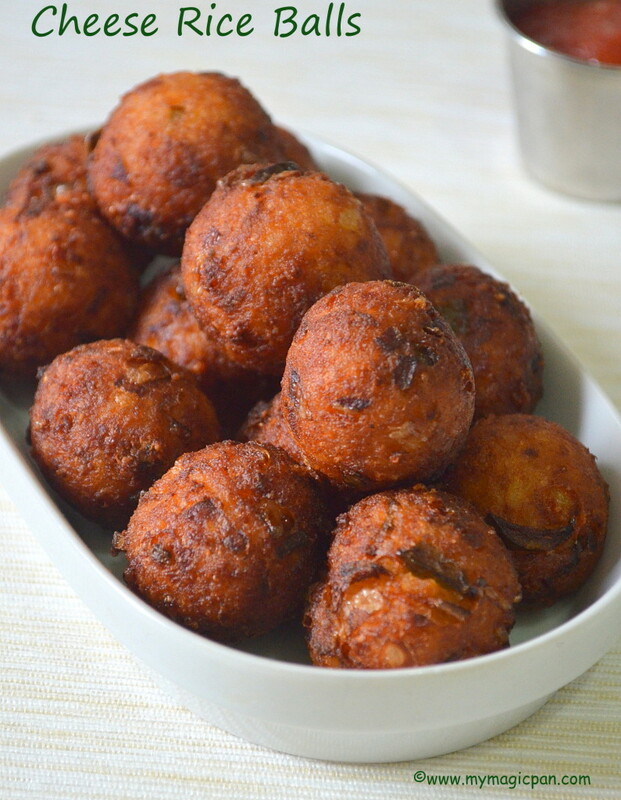 After mixing all the ingredients, make the Cheese Rice Balls immediately. Else the mixture will become watery. Always cook in medium flame so that it is cooked evenly, else it will be crispy outside and uncooked inside. 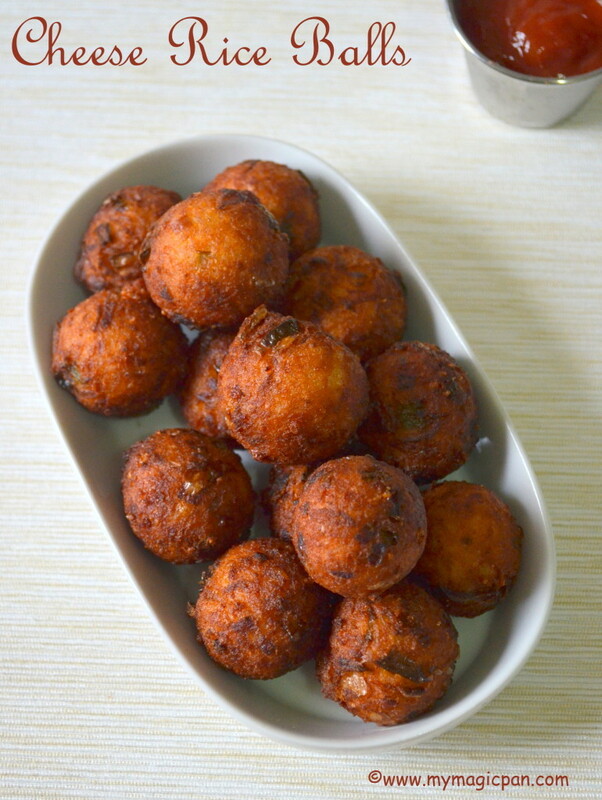 Instead of adding grated cheese, u can stuff the rice balls with cheese cubes and fry too. 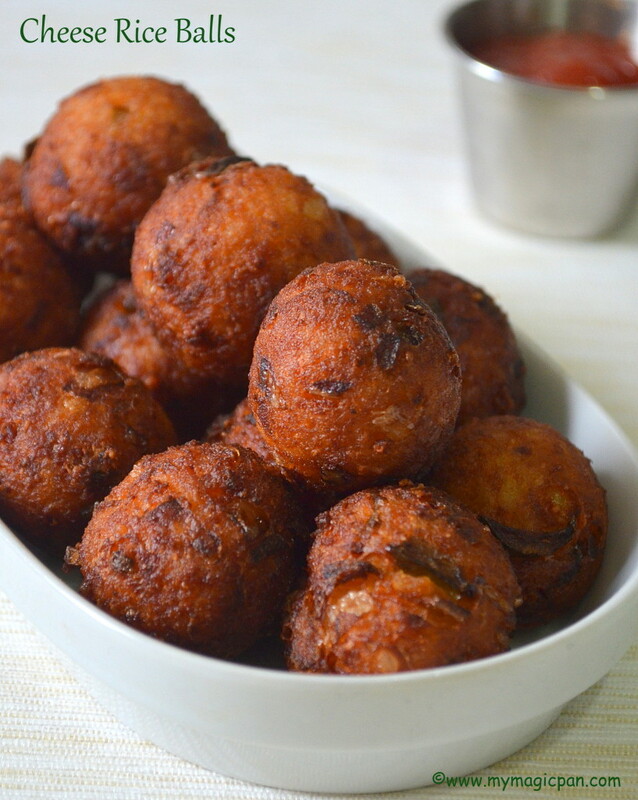 Rice balls look so delicious….just want to grab a few right away! 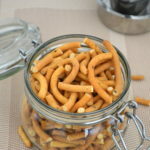 !..They have come out very well dear!! 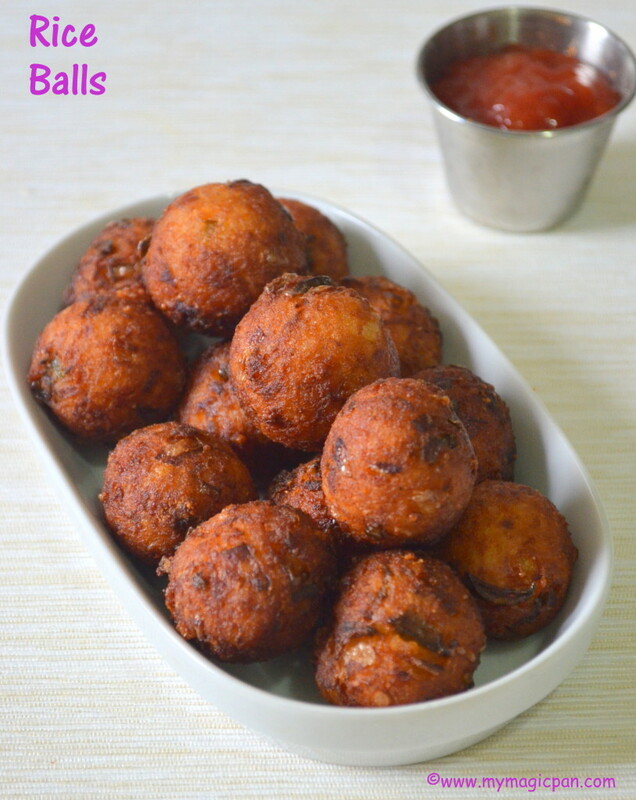 Cheesy rice balls looks really delicious dear..perfect tea time snacks especially winters. These rice balls looks delicious and perfect love it.